This technology is the latest and the greatest discovery for the typing industry. 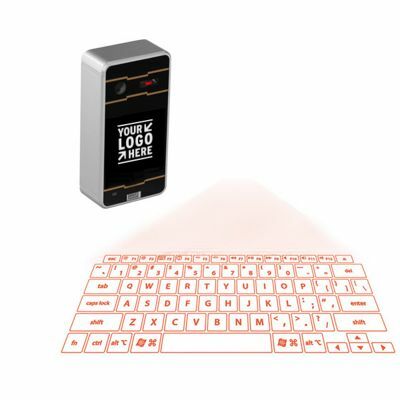 Revolutionary laser technology projects a virtual keyboard on any flat surface. Advanced optics tracks your finger strokes. Connect via Bluetooth wireless technology. Compatible with Apple & Android devices. Easily pair with Smart Phones, Tablet PC’s, Laptops, & Desktop PC’s. Rechargeable li-ion battery (USB cord included). This amazing virtual keyboard is the technology of the future because people had been dreaming about high tech projecting items like this! This item could be used for your everyday job because you could use it when you send out a large email or text message. A reason why this product is so fantastic is because if you’re typing at night you can just turn this on and continue typing without having to keep the light on.